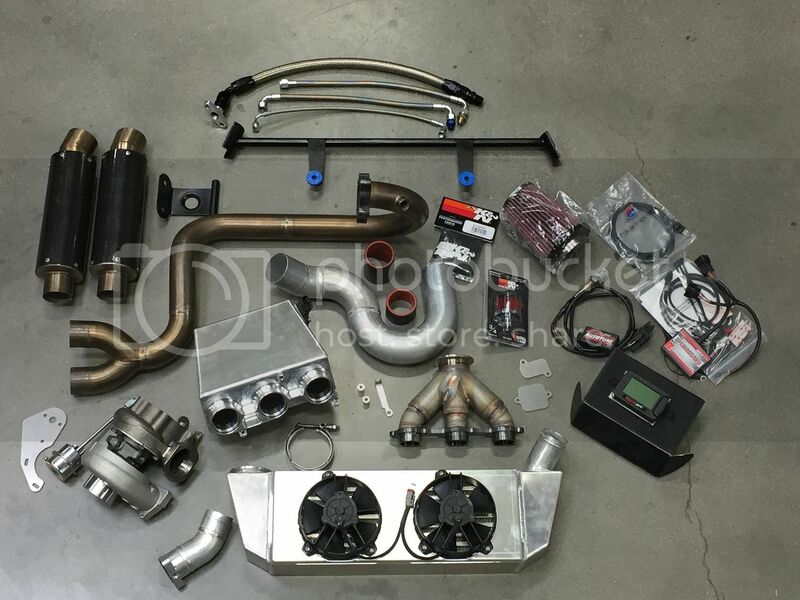 We have been working extremely hard to get caught up and have turbo kits in stock ready to ship. I know a lot of you have been calling and asking for ETA's etc. 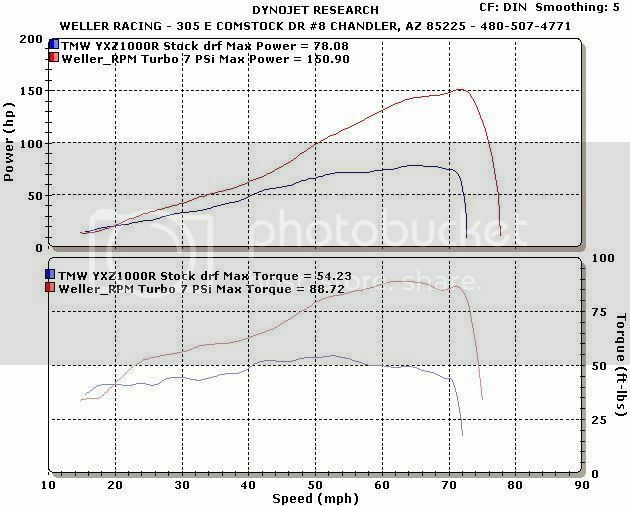 If you are one of those impatient guys who is feeling special and must be boosted today, give us a call (877-Turbo-11) or reach out to Weller Racing (480) 507-4771 and one of us will get you taken care of. thanks! milosusa, YAMI 1 BANSHEE and scottdmax like this. How well does this hold up to water? I saw the install pictures and by the looks of it the power commander isn't water proof.... Just curious for us up in the north east go through a river/ stream will we loose our map/electronics? 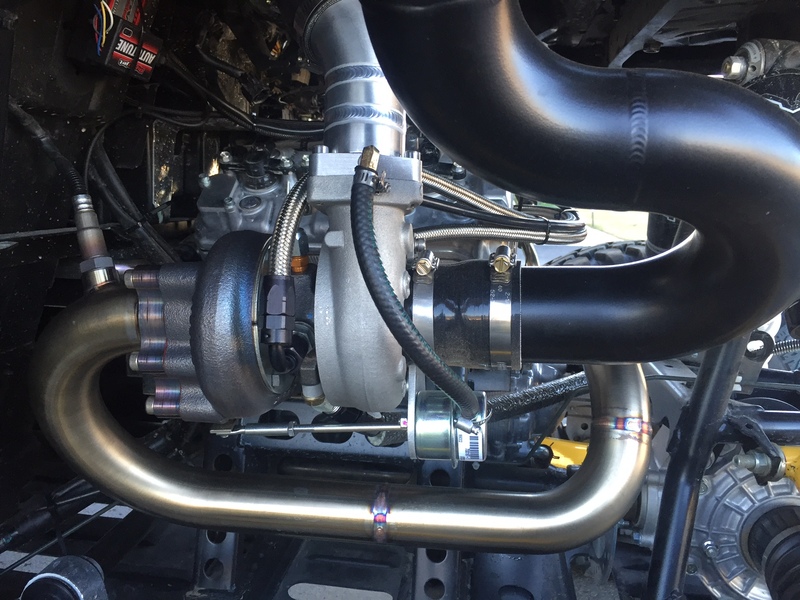 $5,400 +you can get a whole lot more of a turbo kit or super charger kit for a corvette... I would expect a flawless product that the UTV can still be utilized everywhere just the same with this kit installed. Why not put it in a waterproof case instead of zip-tie to the frame? I personally zip tied both my Power commander and auto tune module on top of the fuel rail and you can't even see it , I plugged all the unused connections with the supplied rubber plugs . You would have to have water higher than your fuel rail to get them under water. 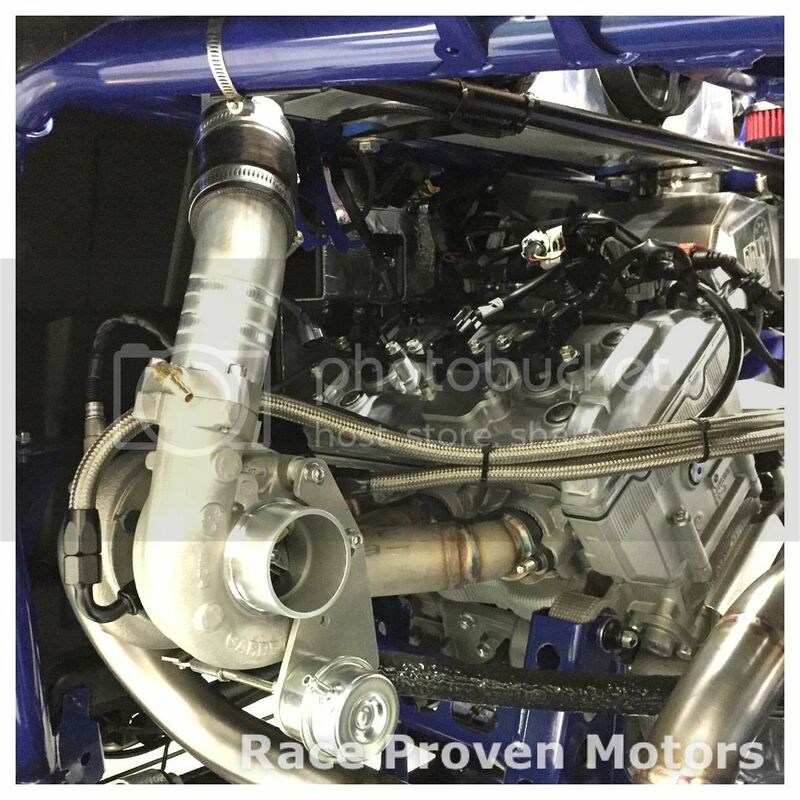 I believe Jason at weller racing had mentioned that he was having the units ( Electronics ) made with longer connections to be away from engine compartment . Since they design this turbo kit within weeks of the car coming out on the market they used the power commander of a snowmobile. If this might be keeping you from buying this kit , I would definitely check with Jason and Corry and Mike they are great and will answer all your questions on a phone call . This is a great kit and Jason and Kyle have the tuning down pack for any driving style. Good Luck Brother!!!. In the beginning (first 10 kits or so) Dynojet did not have a YXZ specific powercommander. So we had to improvise and use one off a snowmobile and switch some wires to make it work. Now they come with the YXZ specific PTI box w/ longer harness to mount whenever you want. I highly recommend this kit for anyone that is in the market. Top notch quality, and you won't find better customer service from both RPM and Weller. I ran my car fairly hard for 2 days in the dunes in Glamis and didn't have one single issue. 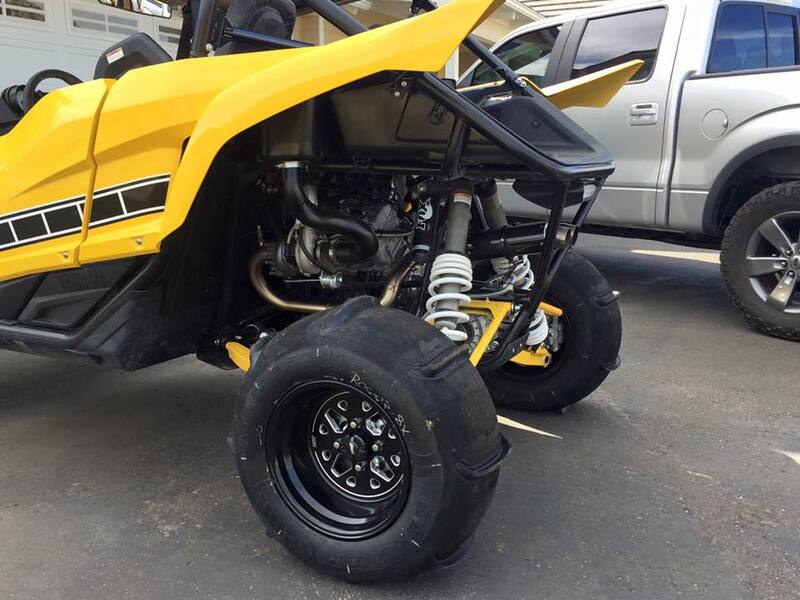 The additional power of this kit transforms the YXZ into a completely different animal that is an absolute blast to drive. Any updates to this kit? I mounted my PCV and Autotune inside the cab above the battery near the stock fuse box. You would have to get pretty deep to get it wet. 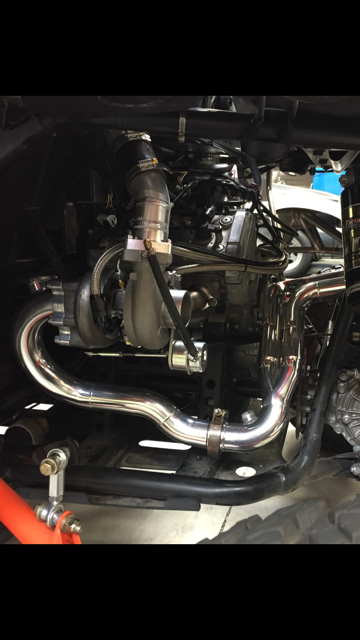 Here's a bling bling they did on my Weller/RPM Turbo install to accomodate the existing Weller exhaust muffler's I wanted to keep using. Nice job RPM!!!! Here is some bling bling the RPM boys did when installing my Weller RPM turbo kit to accomodate my existing weller header and muffler's. DD, where did they mount your PC5 and Auto Tune?